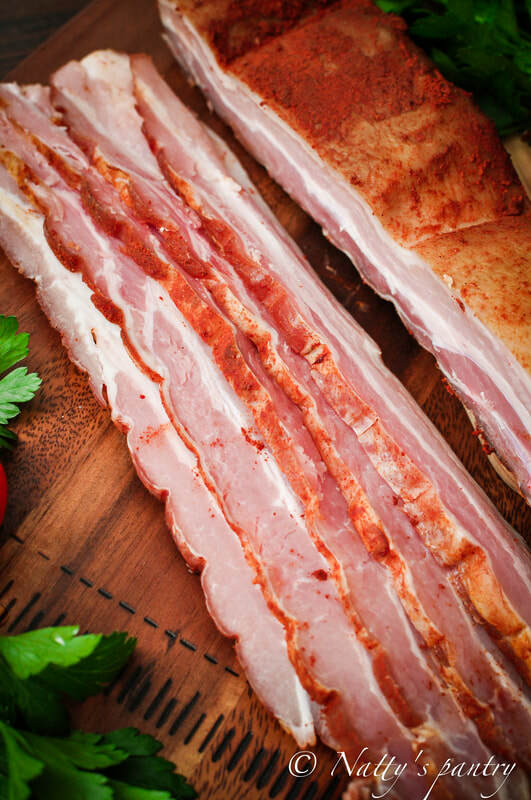 natty's pantry - How to make Bacon at home? 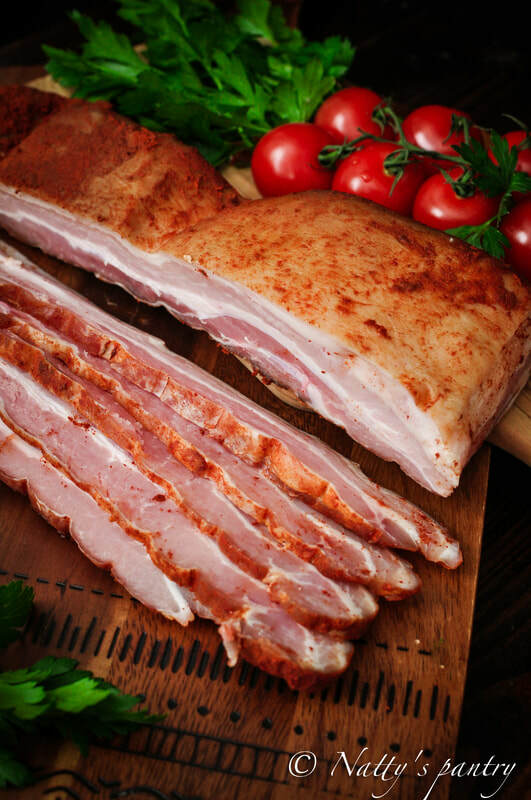 ​I am such a bacon lover; they are so delicious, smoky, rich flavored, sweet & salty. I control the limit of having them according to my healthy balanced life. I am sure; there are so many people that love the after smell that bacon leaves in the house after cooking and the sizzling sound in the pan on a lazy Sunday morning. Oh! I miss those lazy weekends with my comfort food. Before I started doing Whole30, I noticed that bacon was allowed on this program but only no sugar. So I was so happy to have bacon a little more than I allowed to because Hey! I didn't eat carbs, alcohol, grain, and cheese. So eating Bacon on these 30 days would be fine. It is usually hard to buy bacon without being cured with sugar until I started doing my own research of where to buy, and how much it cost. Oh....Boy....... It is so pricey! Then I decided to make bacon on my own. Thank God, I have so many chef friends that have a smoker. One of them is Julia Helton(@juliakitchen), she helped me make this project a success. Thank you so much for your support as a friend and as a fellow food lover. You can check her out on Instagram on the above profile, or 360Restaurantsolution.com . 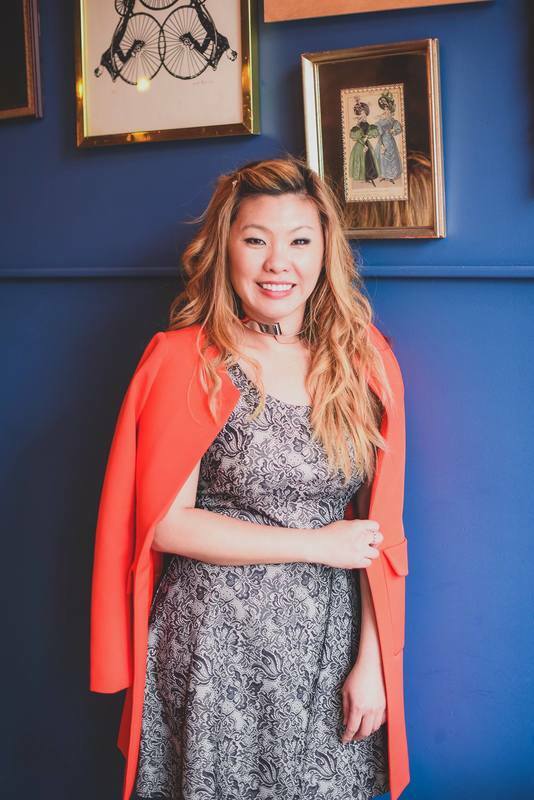 For so many people who love to try out some new foods in Chicago area, then you need to check Angelo's wine bar where she is an exclusive chef. 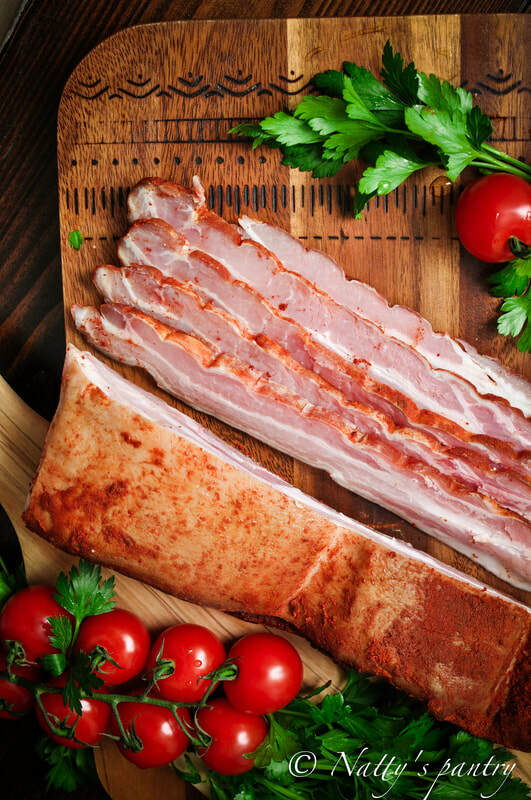 This recipe contains 2 ways to make bacon. For those who have friends that are chefs like I do or has a smoker at home, and the other way is making at your home. 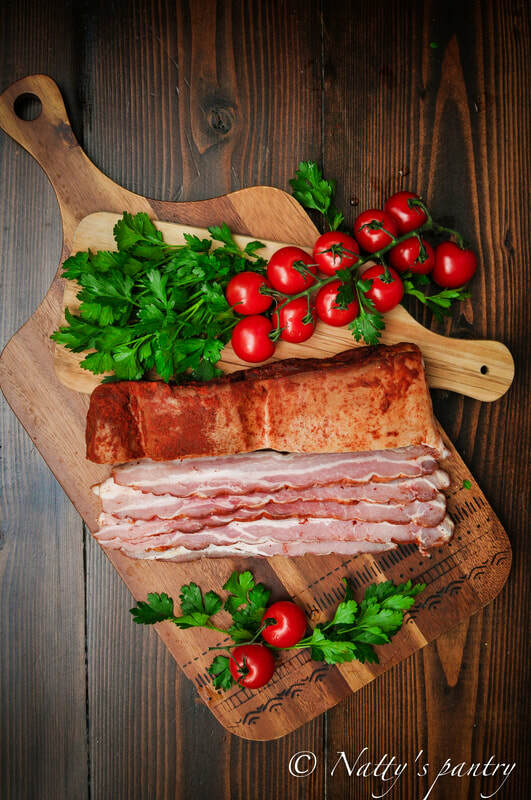 However, it is not impossible to make bacon at home, you just need a roasting pan, a roasting rack, aluminum foil, and wood chips and also time to cure the bacon at home. 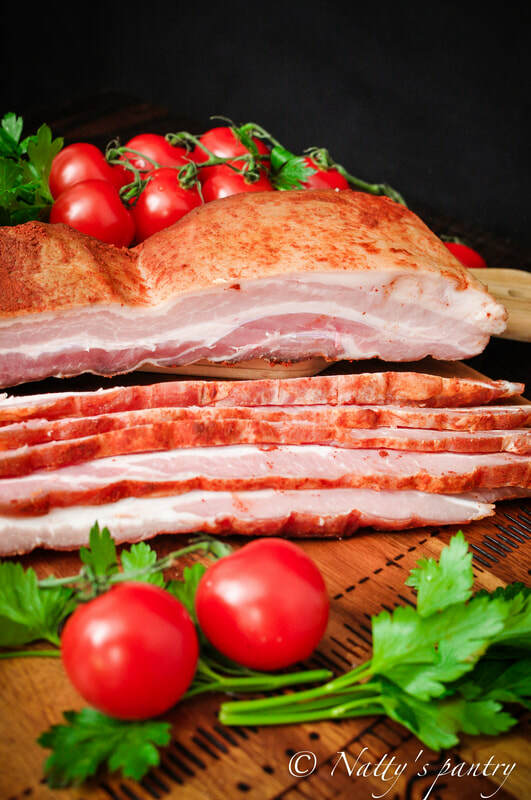 It is a better way to control spices and flavor that you want to add to your bacon; a bonus is that it also controls the salt content compared to bacon bought in stores. 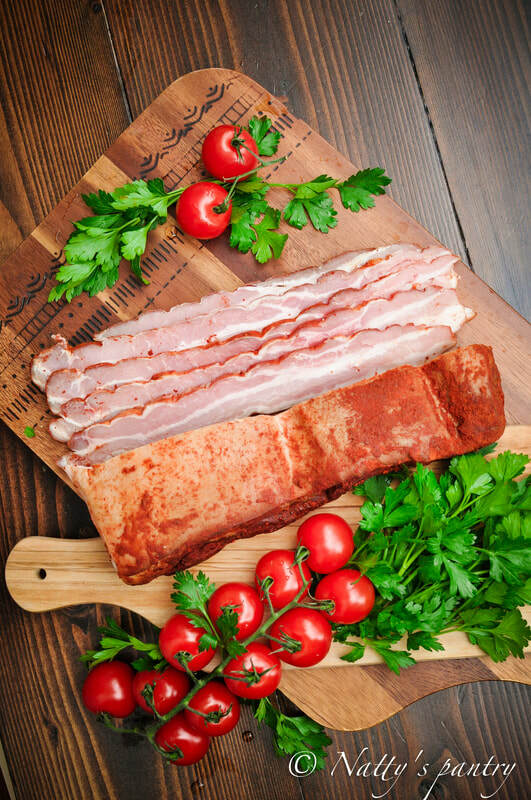 Here is the simple method for curing bacon, and the smoke method that you can use in making bacon at home. - Rinse the pork belly and pat it dry with paper towel. - In a small bowl mix together kosher salt, paprika, pink curing salt, dried thyme, and garlic. - Rub all the mixed seasoning over pork belly. Place the pork in a big ziplock plastic bag and leftover spices, and shake well, make sure all spices cover the pork belly evenly. - Refrigerate the pork for 7 days, flipping the bag every day. - After 7 days, remove the bacon from the bag, rinse it thoroughly, and pat it dry. If you have a friend that is willing to smoke it for you, that is such a good way; you can smoke the bacon at 200°F for 4-6 hours or until the pork belly reaches 150°F. But if not you can follow this direction. - Heat the oven to 200°F. - Line the inside of a roasting pan with foil, Line the inside of a roasting pan crosswise with the foil, make sure that the pan is completely covered and leave excess foil extends over the sides, and slightly up to create the room for the smoke. - place the wood chips in the bottom of the pan over the foil. - place a roasting rack in the roasting pan. (Please be sure that roasting rack sits at least 11/2 inches above the bottom of the pan). -Place the belly on the rack, skin-side up. - Bring the foil to meet up in the middle, make sure that the foil closes tightly by folding 2 sides together. - Place the roasting pan over the two burners with over medium-high heat until you see a steady stream of smoke come out of the top of foil, in about 5-6 minutes. - Place the pan in the oven, then smoke until the pork belly reaches 150°F on the inside-read thermometer; this should take about 4 to 6 hours. - Remove the pan to a wire rack. 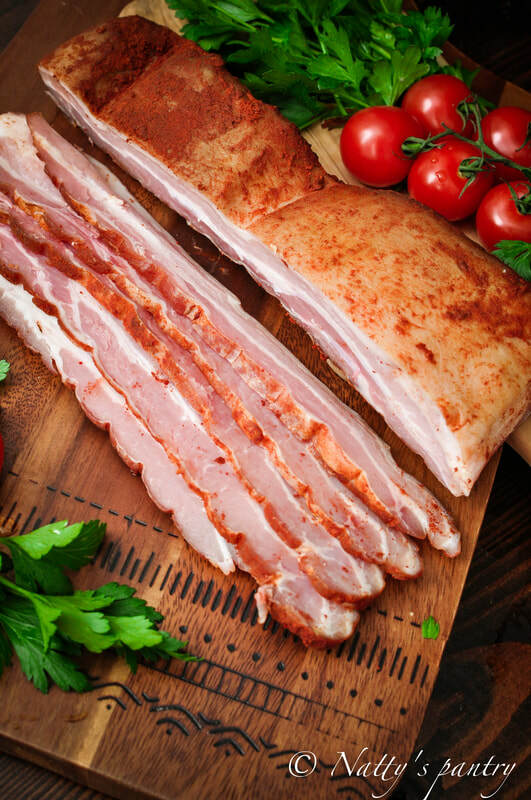 Let bacon cool off to room temperature then carefully open the top seam of the foil, Cut off and discard the skin.